Hello! I hope you had a lovely Thursday today. :D I spent mine at Orchard (For the 10493459345th time) with Lennard. We walked all the way to Tanglin Mall and then back, just to get some respite from ennui. Lol. But it was nice to walk round the rich estates and pretend that we live there. AHEM! Haha. My parents used to always go for showflats and then, I began to like viewing housing projects too. 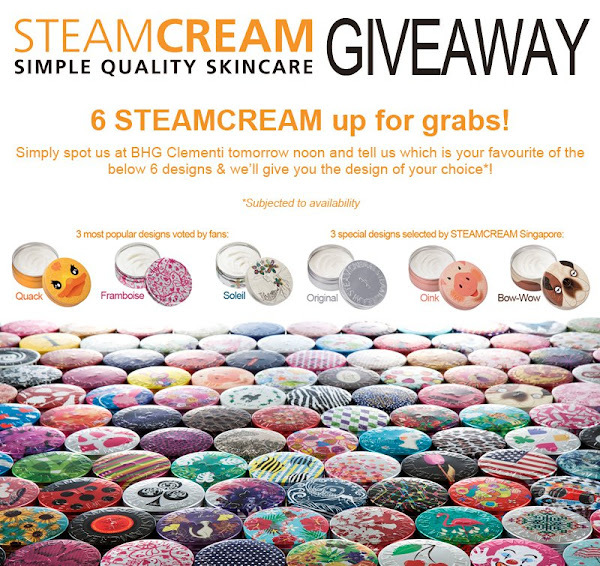 Anyway, there's a new skincare brand that's going to hit our shores tomorrow and it's... *drum rolls* STEAM CREAM!!! They will be available at BHG's aLT Beauty in the Bugis and Clementi outlets. 11 designs have been brought in, of which 6 will be released tomorrow. 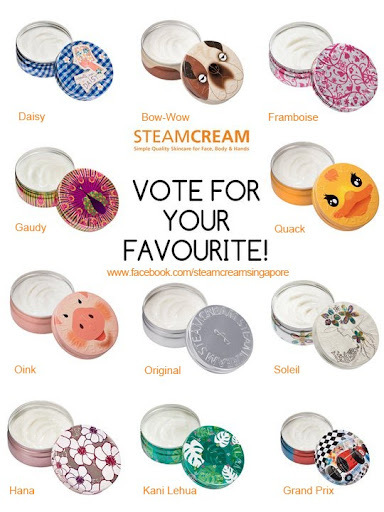 The other designs will be launched one week after another, based on popularity votes on Steamcream Singapore's Facebook page! P.S. : My favourite's Kani Lehua! I do like Daisy and the Original (It looks so vintage!) ones too! Heh.